Replacing all the capacitors of the Sega Mega CD (v1). Installing new capacitors. reassembling and testing. surface mount capacitor leak. replacing with radial caps. I was recently sent an original Sega Mega CD by a customer. It was having an intermittent problem and displaying corrupted graphics on the side of the screen during boot and game play. Typically for me it was being well behaved and showed no such problems. I went ahead and opened the unit to investigate more. 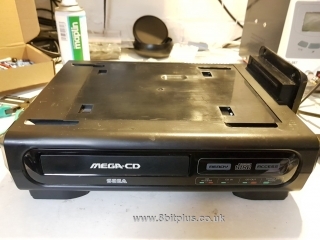 The Mega CD is a very sturdy bit of kit, well put together. 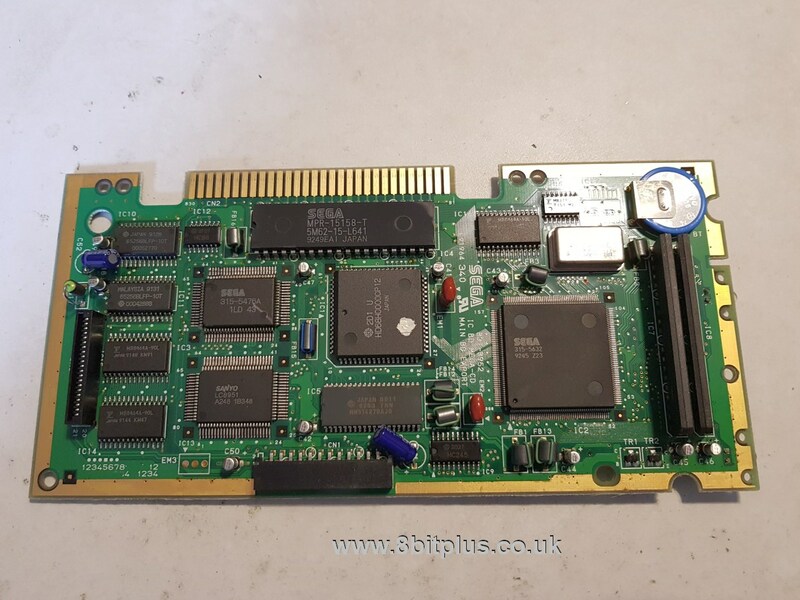 When I got the metal shield off the main board, I could see some problems that might be causing the issues the customer mentioned. 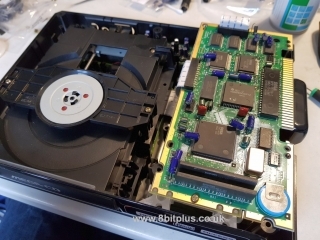 It looks like Sega choose to use a mix of surface mount (smd) and radial caps on the main CPU board. 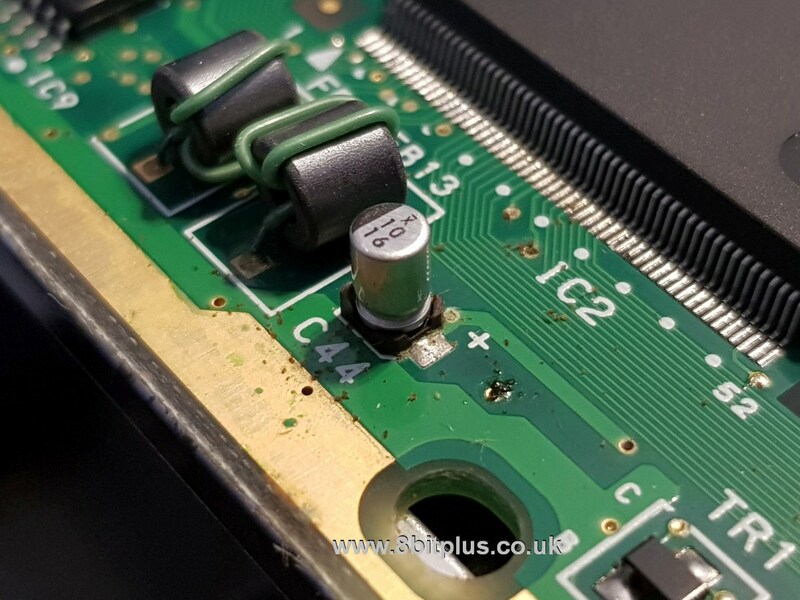 Just like NEC consoles of the time, the smd caps are leaking. Although its not as bad as I’m accustom to seeing in PC Engine DUO consoles, its nonetheless something that needs fixing asap. 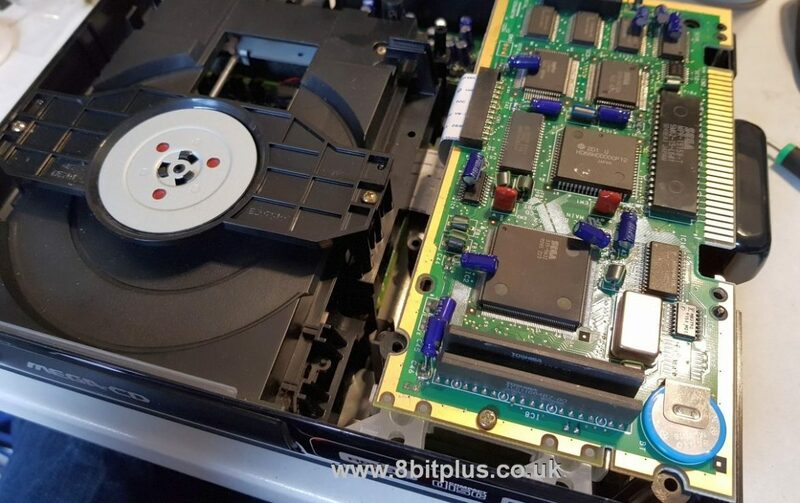 It looks like the two worse affected caps are providing power stabilisation to the VRAM chips. 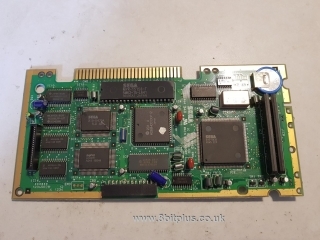 I removed the caps and cleaned the board with PCB cleaner. 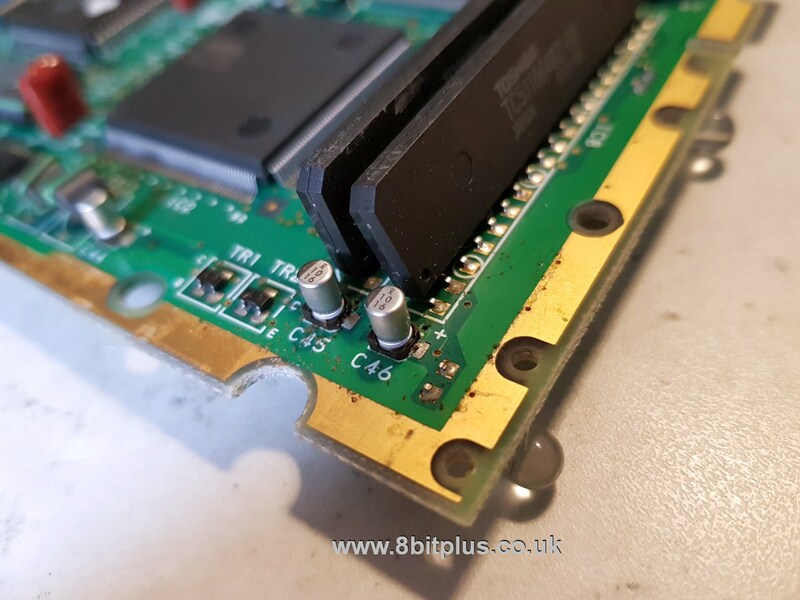 The solder from the original caps was very hard to remove because it was quite compromised from the electrolytic fluids. 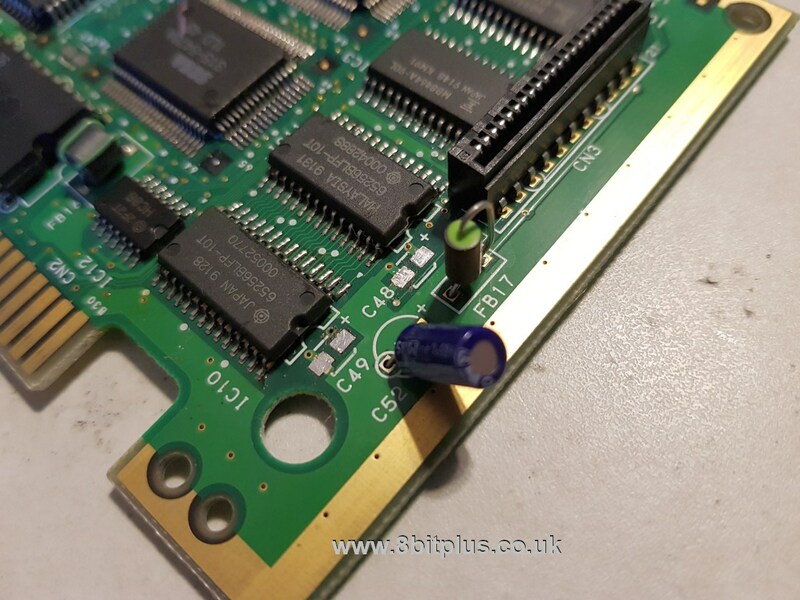 I needed to repeatedly flux the area used desoldering braid. 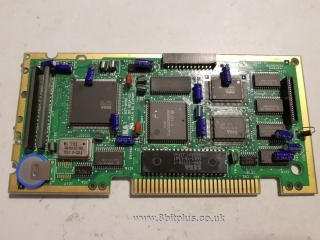 Once all the old solder was removed I was relived to see the pads are still in good condition. 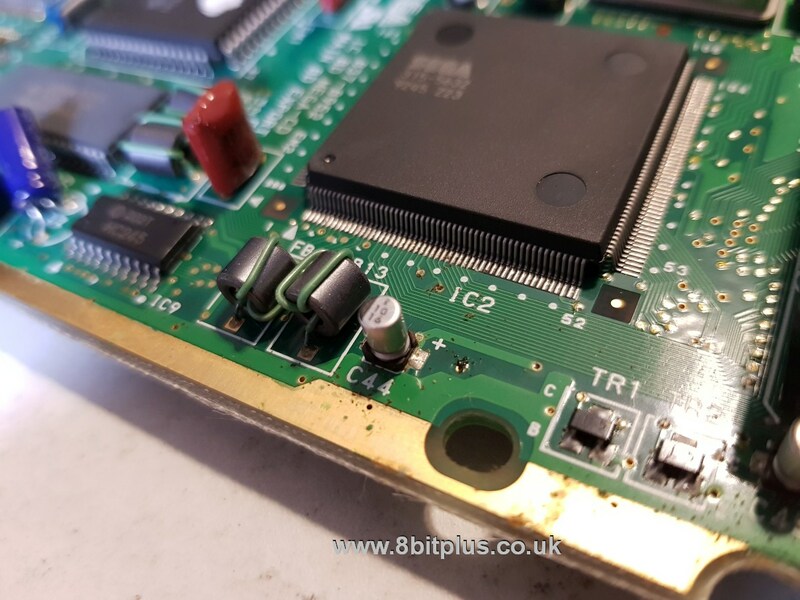 I then applied new solder to the pads ready for new caps. The original radial caps were still good, but we decided to replace all of them on both boards anyway. 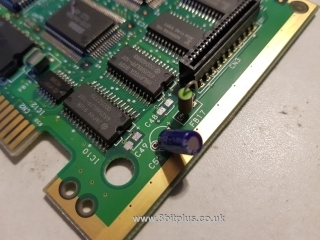 This is optional, but the smd caps must be replaced. 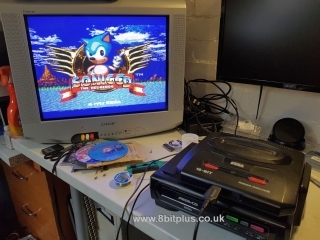 After reassembling everything I tested the Mega CD with and Mega Drive 1 and 2. Everything seems to be working as expected. 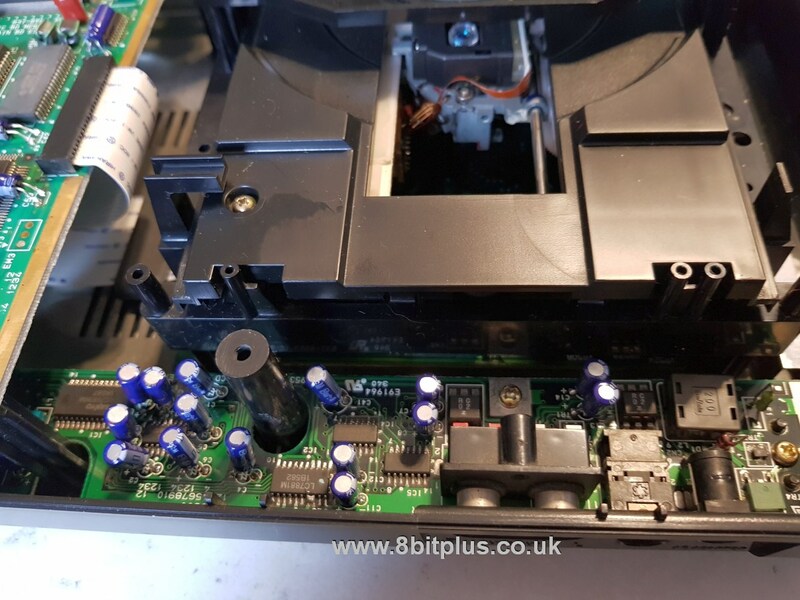 If you have a Mega CD that needs new capacitors, please get in touch here. 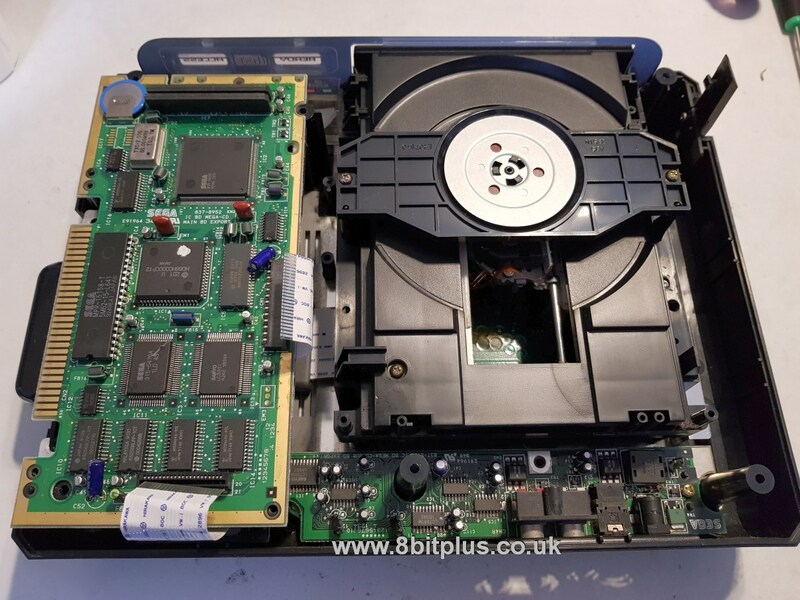 Would this be something you could repair as I wouldn’t know where to start? 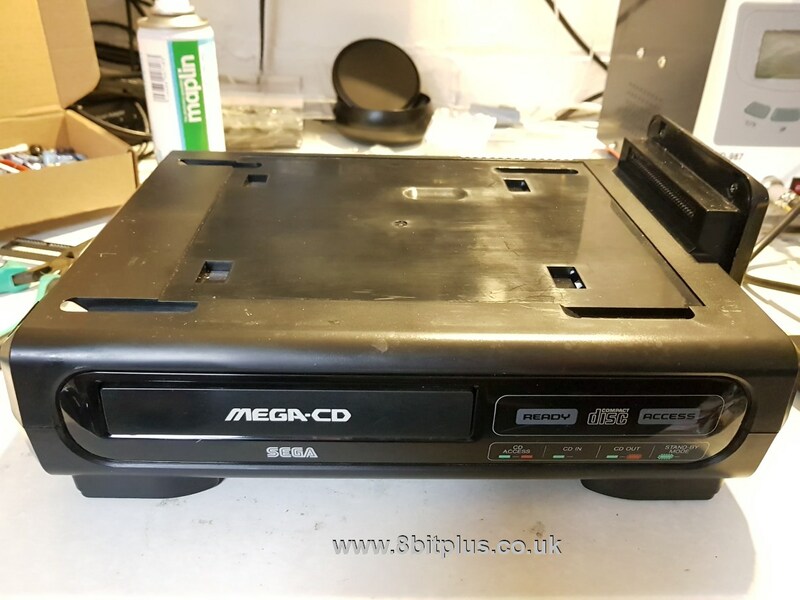 I have a mega cd 1 and it powers up but doesn’t read discs. I believe it’s an issue with the cd lens. Is this fixable or will it need a new lens and is it still possible to even get these replacement parts?